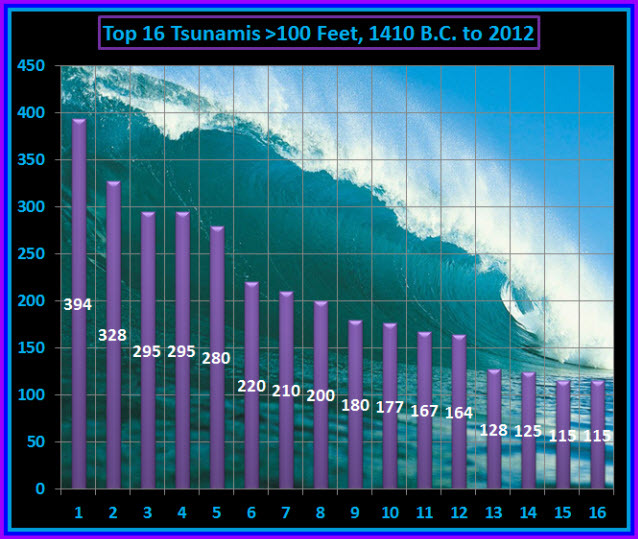 Top 16 Tsunamis, Greater than 100 Feet, From 1410 B.C. to 2012. | Chaos Sweeps Away the World We Know! The Disaster, current events & Catastrophe Blog. Forecasts for 2014 to 2022. Read tomorrows news today! Plus current economic, commodities, stock indices and financial news. ← A Documented Tsunami of 1,722 feet (525 meters)! 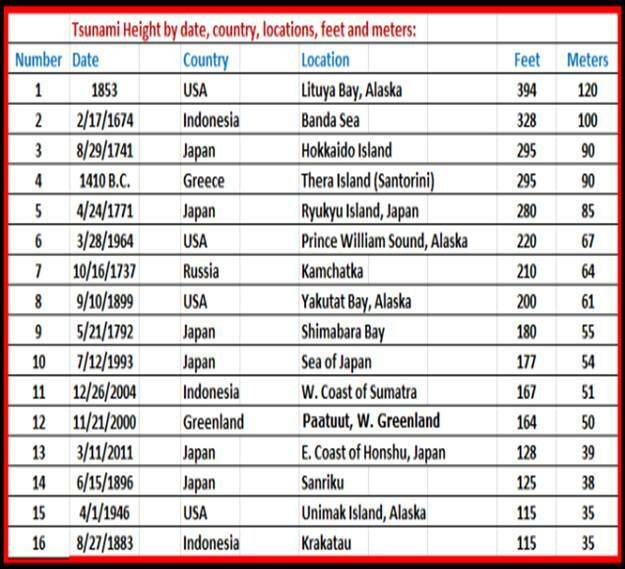 Note that the recent huge mega-tsunamis generated in Japan (#13) and Indonesia (#11) are relatively small compared to some of the “monsters” on this list; and compared to the 1,722 feet colossal tsunami. This entry was posted in Tsunami - Global and tagged alaska, Craig Alaska, indonesia, Japan, Lituya Bay, Prince Rupert British Columbia, The Master of Disaster, top 16 tsunamis - from 1410 B.C. to 2012 - greater than 100 feet, tsunami, United States Geological Survey. Bookmark the permalink.